KUMBH VILLAGE , ALLAHABAD offers well furnished dormitories for budget friendly & back packers. All our cottages are all eco-friendly, fully secured, water proof and equipped with the modern amenities and surrounded by beautiful Landscape. Our property is in very close proximity to the main bathing ghat giving a strategic advantage of prime location. 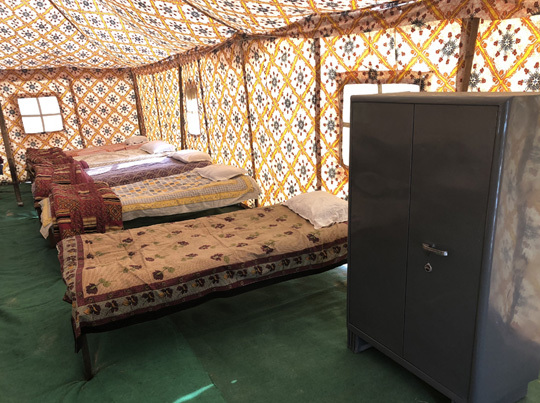 There are 10 beds in each dormitory cottage with blankets & all essentials that a guest ideally needs.